There’s a silent, dangerous war going on out there. On one side are parents, bombarded with stories about the dangers of vaccines, now wary of immunizing their sons and daughters. On the other side are doctors, scared to send kids out of their offices vulnerable to illnesses like whooping cough and measles–the diseases of their grandparents.How did anyone come to view vaccines with horror? The answer is rooted in one of the most powerful citizen activist movements in our nation’s history. 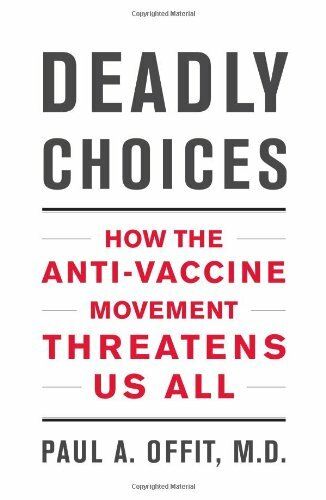 In Deadly Choices, infectious disease expert Paul Offit relates the shocking story of anti-vaccine America–its origins, leaders, influences, and impact. Offering strategies to keep us from returning to an era when children routinely died from infections, Deadly Choices is a vigorous and definitive rebuttal of the powerful anti-vaccine movement. *The author of this title is no longer represented by The Zack Company, Inc.